Hope--Gordon. 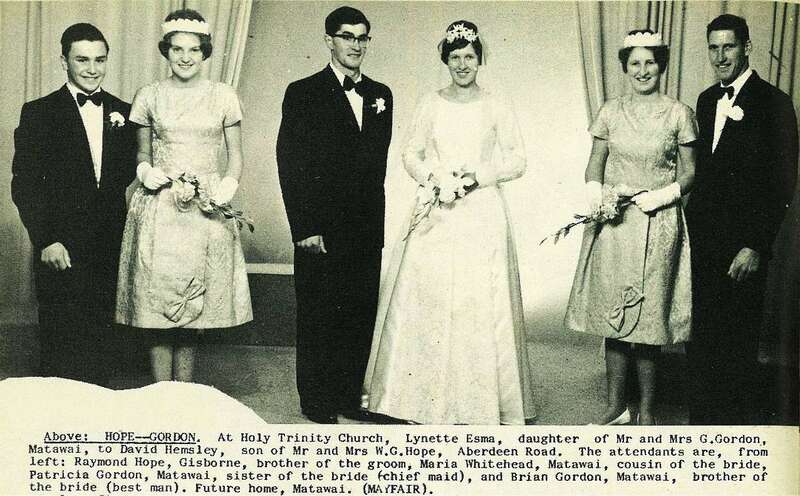 At Holy Trinity Church, Lynette Esma, daughter of Mr and Mrs G. Gordon, Matawai, to David Hemsley, son of Mr and Mrs W. G. Hope, Aberdeen Road. 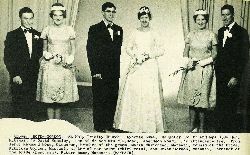 The attendants are, from left: Raymond Hope, Gisborne, brother of the groom, Maria Whitehead, Matawai, cousin of the bride, Patricia Gordon, Matawai, sister of the bride (chief maid), and Brian Gordon, Matawai, brother of the bride (best man). Future home, Matawai. (Mayfair). 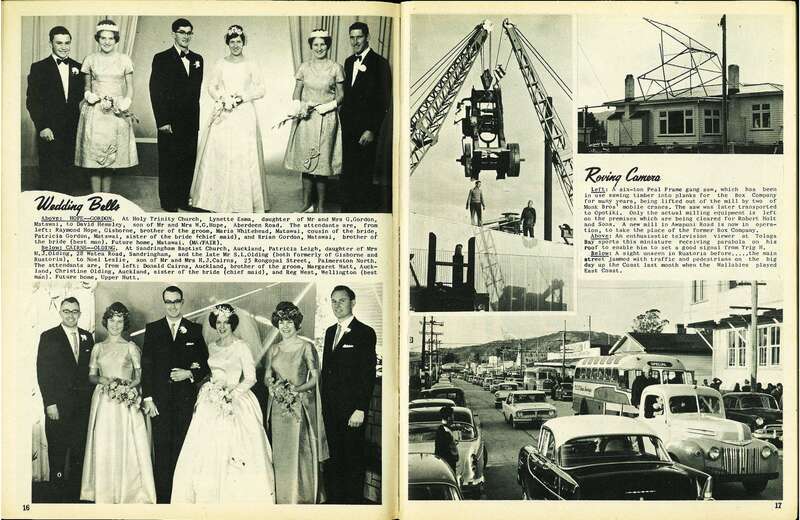 Cairns--Olding. 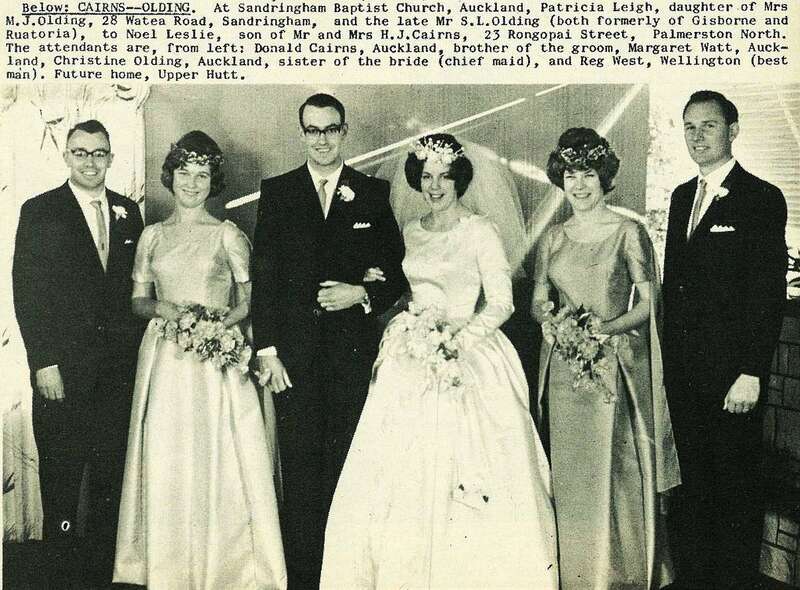 At Sandringham Baptist Church, Auckland, Patricia Leigh, daughter of Mrs M. J. Olding, 28 Watea Road, Sandringham, and the late Mr S. L. Olding (both formerly of Gisborne and Ruatoria), to Noel Leslie, son of Mr and Mrs H. J. Cairns, 23 Rongopai Street, Palmerston North. 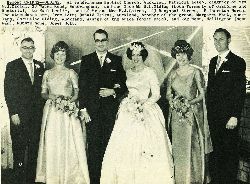 The attendants are, from left: Donald Cairns, Auckland, brother of the groom, Margaret Watt, Auckland, Christine Olding, Auckland, sister of the bride (chief maid), and Reg West, Wellington (best man). Future home, Upper Hutt.